Backlit displays are a great way to attract viewer attention and separate your ad from standard frontlit applications. 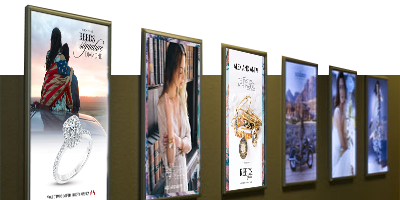 Using backlit films, these displays are large transparencies with a diffusion backing that require a lightbox to be seen. When compared to ordinary frontlit photographs, the backlit Duratrans stand out in color saturation, brilliance, contrast, and just plain general attention-getting power. Used in tradeshows, they can be seen from a great distance away and attract viewers to your booth. Perfect for airport signs, movie theater boxes, menu displays, bus stops, backlit exhibits, window presentations. Backlit film printed at 2400dpi in three layers (CMYK-White-CMYK) creating a vibrant image with or without light. 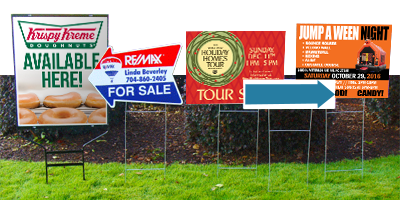 Yard Signs or Political Signs have the ability to reach a large audience with minimal cost. Every Coroplast sign is guaranteed not to fade for a full year and can be printed on both sides to ensure you get noticed. 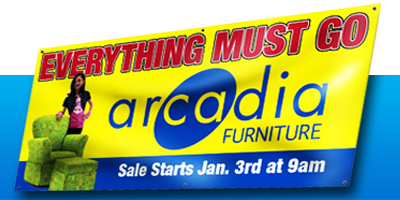 These signs are incredibly easy to transport and install, making them perfect for use multiple times. Coroplast signs are also completely weatherproof so they can be left out in the rain without fear of them being damaged. 4mm Coroplast is the industry standard for it's durability and versatility. It is also a very economical product making it very affordable for temporary signage. Menu Boards are used in a variety of different applications the core being restaurant signage. They can be used both indoors and out, frontlit or backlit. We provide solutions for all these situations. 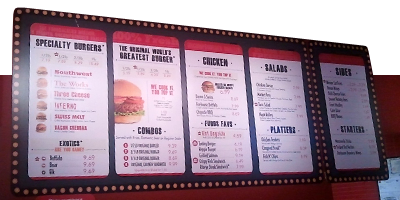 Indoor menu boards can last 5 years with fade resistant UV inks. Outdoor menu boards can last at least 1 year with outdoor UV inks. For drive thru menu boards we offer a product that is both UV and heat resistant to stand up to the harshest conditions. Floor graphics are a high impact way to get your message across. They work well to promote branding or for utility uses such as direction lines or lanes (for example in hospitals or supermarkets). 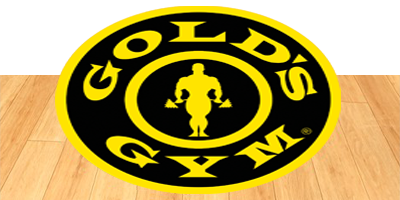 They are made from low-tac removable self-adhesive vinyl for ease of installation and removal with a textured overlaminate for added durability. 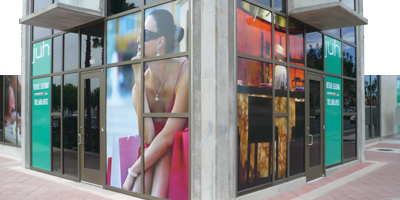 Static window clings are the perfect material for temporary, seasonal or short-term business advertising. Since static window clings don't have adhesive, they can easily be removed, repositioned and reused as needed, plus there is no residue left behind. We can also print your image on decals, for more permanent adhesion.